For Summer! School’s out forever! Well perhaps not forever but as the Summer break approaches you’ll have lots of exciting plans for the sunnier months before your studies beckon and the Autumn term commences. Packing for the University break can be a pain, read our guide and take out some of the stress! Whether you’re going travelling, hitting the festival circuit or just kicking back and chillin’ back with the folks don’t just drop everything hoping it’ll all be sorted when you get back in September. A bit of planning and preparation will work wonders for a stress ­free return to Uni or college. So here are our top tips for having a great summer break and getting ready and raring to go when your studies restart. 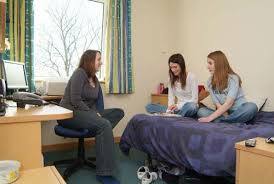 If you’re moving to a new place in the new term, make sure you’ve settled up with your current accommodation. If you’re hoping to get your deposit back you’ll need to leave your lodgings in a fit state and fess up to any breakages or damage (like what happened on that night when you got home a bit worse for wear ­ you know the one we mean). It’s usually cheaper to pay for a few broken mugs than lose your deposit depending on how many you’ve broken that is! Assuming all that’s in order you can hand over your keys and move onto your next place with a clear conscience. Always a pain but also essential. For gas, electric, council tax etc., contact the providers and cancel everything down. Take a note of meter readings and keep any correspondence in case there are issues down the line. Make sure all your housemates have the same info and split the work (and the bills) evenly so that everyone does their bit andconfirms that the jobs are complete. Getting any of this wrong can cause considerable pain later on so get it right! The same rules apply for items you may have rented; TVs, Games Stations, DVDs or power tools perhaps. Return all of these items and keep receipts and documents as proof. We all collect any amount of detritus as we go. It’s amazing how much stuff you can amass even in an academic year. Now is the time to de­clutter. So, if you’ve got things like well­read books, embarrassing t­shirts or dodgy shoes why not give them to the local charity shop. You can then go on your summer break happy in the knowledge that you’ve helped someone else and given your unwanted stuff to a good cause. Good for you! Assuming you’re coming back you might consider storage for your stuff when packing for the University break. This is a good option especially if you’ve got too much to carry or don’t want your parents to see how you’ve been spending their money. 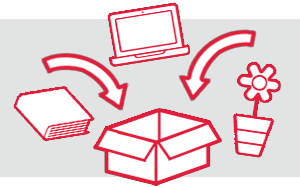 In fact, if you and your mates want to share a container then the team at PODS containers will be happy to advise on saving costs by grouping your things together. In a typical container you easily can store the contents from a shared house safely and cost effectively for the summer. It’ll all be in great shape waiting for you when you get back. Now that’s all sorted it’s time to go on your summer adventure. Pack everything you are taking and maybe look at the college intranet for opportunities to share the journey home or try sites like liftshare.com. That way you will save money and have more to spend on summer fun. So, whatever your plans, make sure you leave with everything in order ready for your return and you can set off fully prepared to have a fantastic summer break.